My copy of The Heart of What Was Lost, the bridge between Tad Williams' Memory, Sorrow, and Thorn and The Last King of Osten Ard series, is still halfway around the world. I've been eagerly waiting for it since I pre-ordered it. 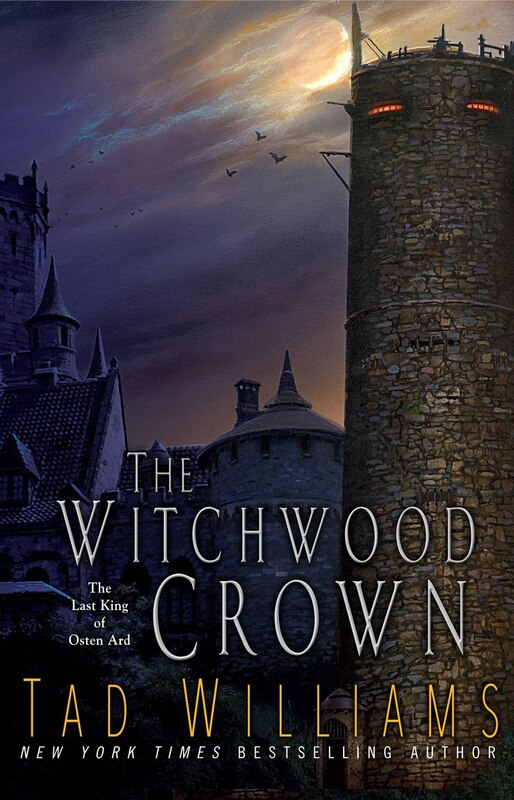 MY excitement just multiplied numerous times when the first book of The Last King of Osten Ard, called The Witchwood Crown, is also coming at hand. No there are many that I could look forward to. The said book will be released this year and the cover art has just been unveiled. Once again it features an art by Michael Whelan. But the sword that I was expecting to see (the pattern of the original series' redesigned covers as well as the bridge novel) is replaced by Hjeldin’s Tower. Check out the cover of The Witchwood Crown by Tad Williams. Head over to Tor.com for more information. Thirty years have passed since the events of the earlier novels, and the world has reached a critical turning point once again. The realm is threatened by divisive forces, even as old allies are lost, and others are lured down darker paths. Perhaps most terrifying of all, the Norns—the long-vanquished elvish foe—are stirring once again, preparing to reclaim the mortal-ruled lands that once were theirs…. The Witchwood Crown by Tad Williams will be released on June 27, 2017. I already pre-ordered mine.